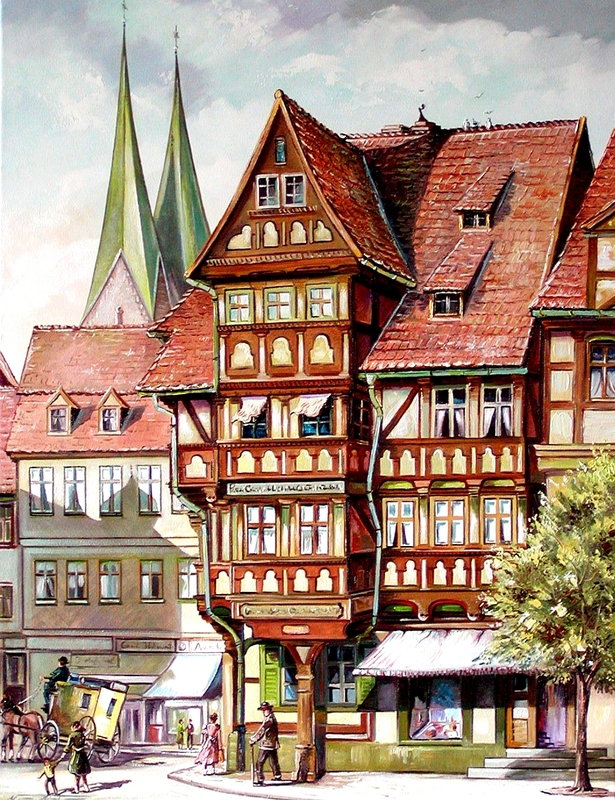 the location of halberstadt is north-east of the mountain harz. 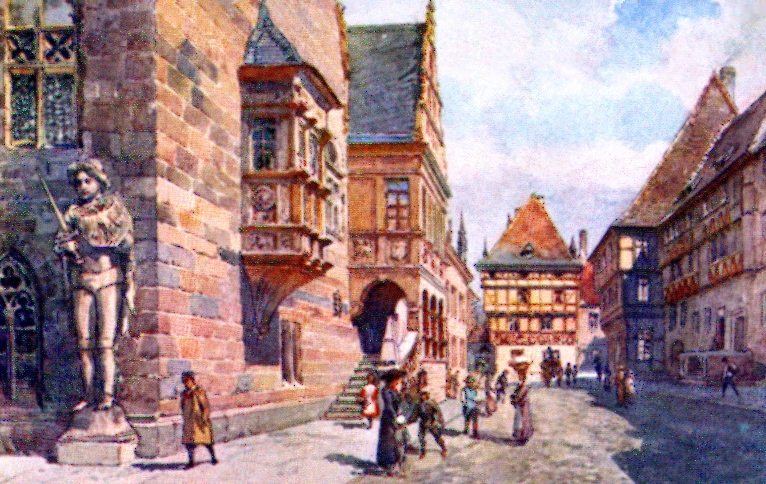 it was founded in the year 804. later it became part of the prussian province of saxony. 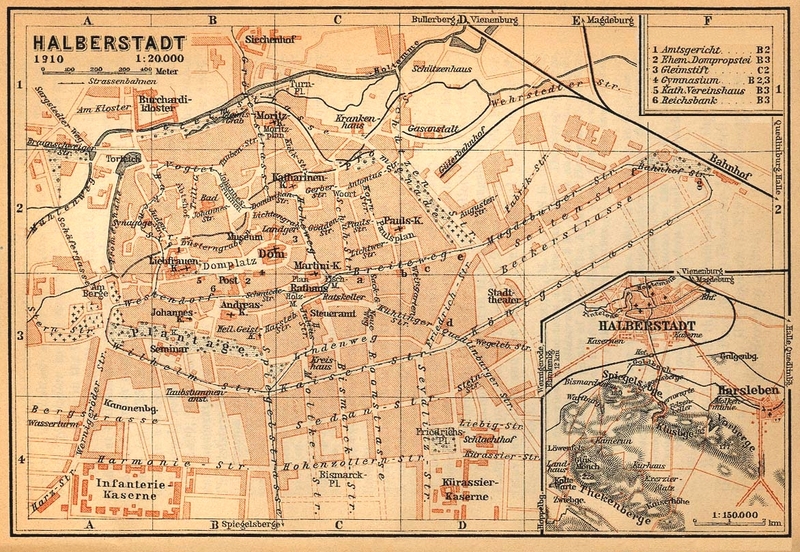 below is a historic city map of 1910.
halberstadt was connected to the railway system in 1843. it is/was famous for its old city, containing hundreds of half-timber houses. in 1912, aircraft production started in halberstadt, and it became substantial in world war 2. because of this, in april 1945, briefly before the end of the war, allied aircrafts bombed halberstadt heavily, which killed thousands of people and destroyed most of the historic city. halberstadt is also known for its churches - see next section.